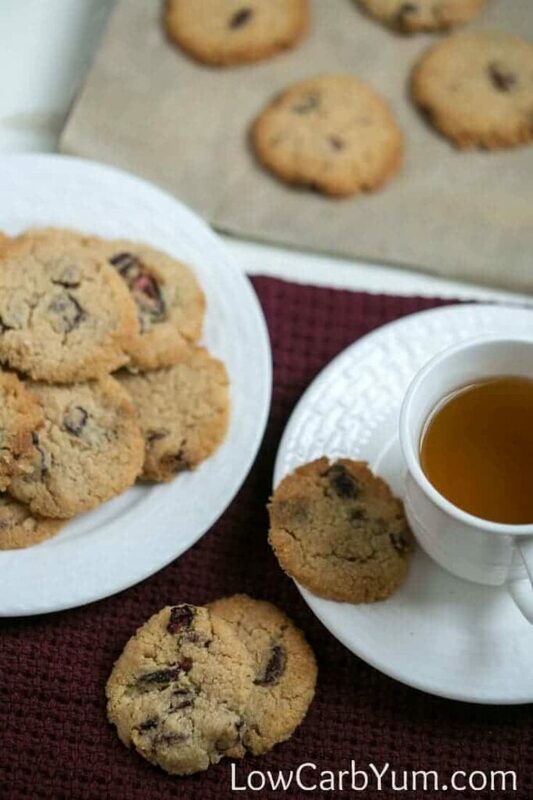 Crisp buttery almond flour cookies with cranberries, walnuts, and a hint of cinnamon. 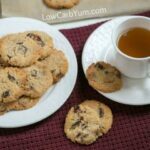 They are sure to become a favorite low carb cookie. And, they’re gluten free too! Everyone seems to be participating in a cookie exchange right now. I need to find some friends to do a low carb cookie exchange. 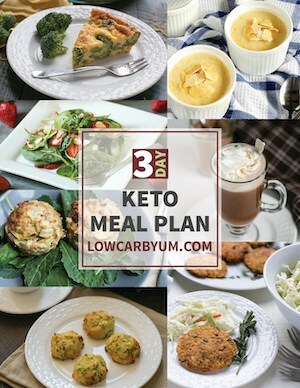 Maybe next year, I can convert some of my friends and coworkers to go low carb. 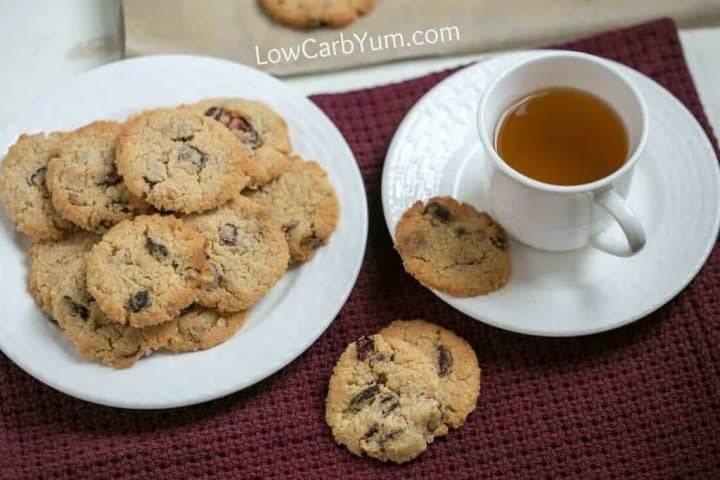 It would be great to get an assortment of cookies low in carbs for the holidays. I guess we can only dream. But, I am going to work on convincing more family and friends to move to a low sugar diet. More of my family has gone low carb. And, it has had some noticeable positive effects. 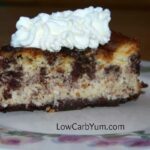 My sister recently lost 15 pounds on low carb. However, I don’t see low carb as a diet. It’s a way of life for me and many others. Once you learn how easy it is to eat this way, you’ll never go back. I was looking for a crispy cookie for the holidays so I created these yummy almond flour cookies with cranberries and walnuts. They are absolutely fantastic. They are made with almond flour and butter for a crisp buttery flavor. 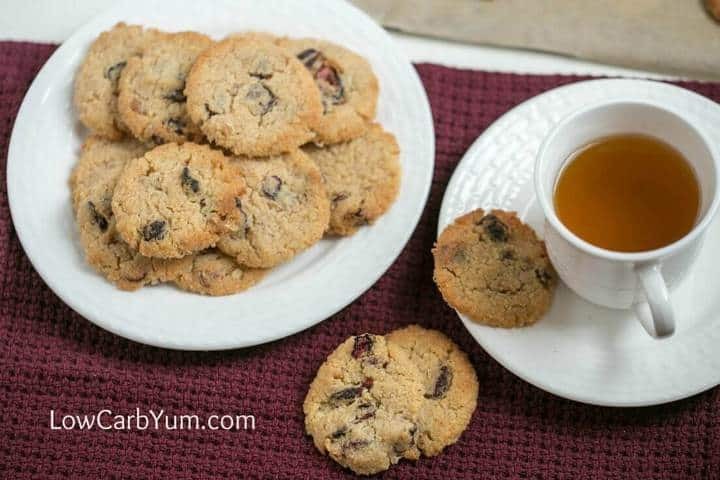 The unsweetened dried cranberries give them a chewy texture too. 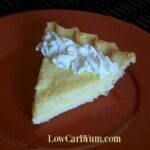 And, I used LC Foods white sweetener made with erythritol to give them the best overall taste. It combines erythritol with inulin, stevia, and monk fruit so you don’t get any cooling effect. My family came over this weekend to celebrate my daughter’s fourth birthday. Several sampled these low carb almond flour cookies and said they tasted like a regular cookie made with sugar. I only have a few cookies left so I’m thinking of making another batch to share on Christmas. I’ll be working most of the week so I’ll likely be baking last minute treats on Christmas Eve. 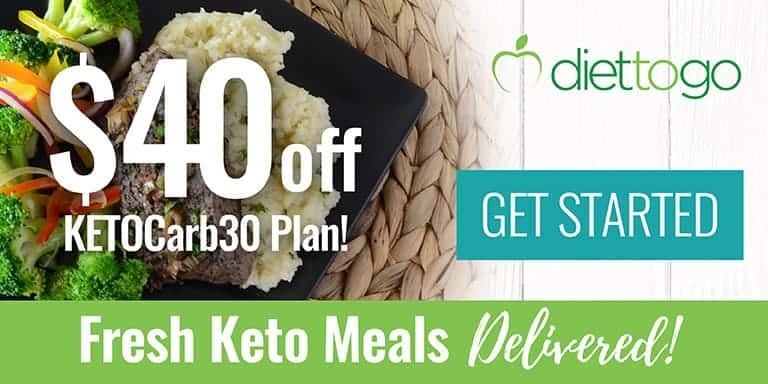 I’ve often thought of opening a low carb specialty store. However, I don’t know how well it would do in my area as I live in a pretty rural area. And, I’m pretty busy already. I don’t think if I’d have time to open up a real shop without quitting my regular day job first. I’m a bit sad to see 2016 end. It’s been a really good year for me. However, 2017 could be even better. The inspiration for these almond flour cookies came from a cranberry cinnamon cookie recipe I found at All Recipes. 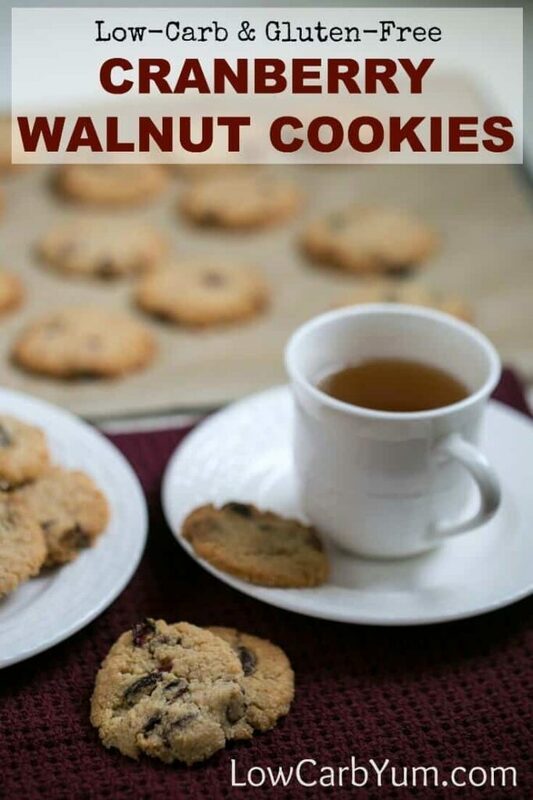 I added walnuts to the recipe as I think they go great with cranberries. These cookies have more cranberries than the cranberry almond biscotti I made a few months ago. And, I love the addition of walnuts. I’ve had a thing for cranberries and walnuts lately. I’ve been adding them to salads and pan fried brussels sprouts. 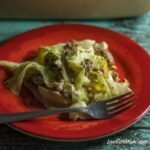 They are a perfect low carb combination! Crisp buttery cookies with cranberries, walnuts, and a hint of cinnamon. 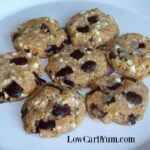 They are sure to become a favorite low carb cookie. And, they're gluten free too! Cream butter and sweetener in large mixing bowl with electric mixer. Blend egg into butter mixture then slowly stir in almond flour mixture. Stir in the cranberries and walnuts. 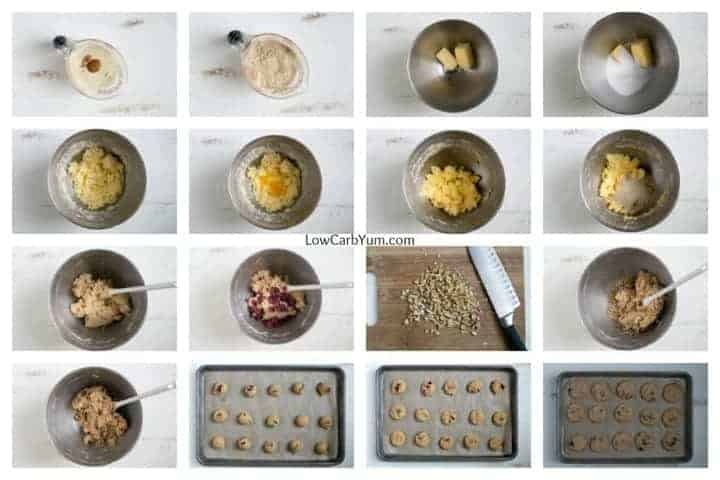 Scoop dough onto parchment paper or silicone lined cookie sheets. Bake at 350°F for 12-15 minutes or until edges are brown. Nutrition data is per cookie.